Government agencies looking for conference space will have to look elsewhere. Vegas is too much fun. For government employees, an out-of-town conference isn't as much fun as it used to be. To avoid media scrutiny, any city considered to be a travel destination or vacation hot spot are off limits, reports the Wall Street Journal. "We do have guidance that says avoid locations and accomodations that give the appearance of being lavish or are resort locations," said a spokeswoman for the Department of Justice. Acording to a May e-mail from an FBI employee obtained by the U.S. Travel Association and viewed by the Wall Street Journal, The Department of Justice decided "conferences are not to be held in cities that are vacation destinations/spa/resort/gambling." "We get the sense that these agencies are worried about scrutiny, and inorder to avoid criticism from the media they are essentially willing to spend more money and do things that they think will prevent them media scrutiny," said Geoff Freeman, senior vice president of public affairs for the U.S. Travelers Association. "In the quest to demonize travel, we're killing jobs." Travel industry lobbiest charge that the policy has backfired. 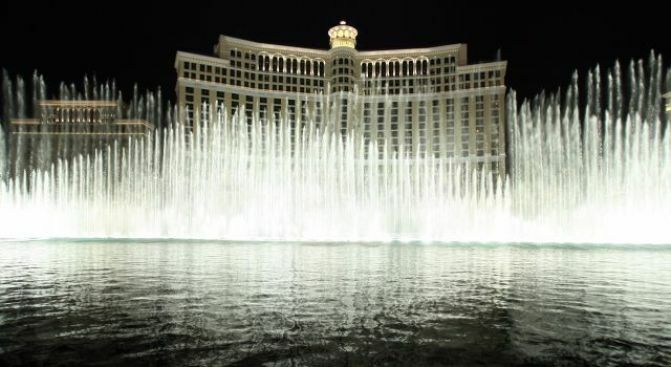 By blacklisting a gablimng mecca like Nevada, governemnt agencies are missing out on thousands of hotel rooms and millions of square feet of conference space at a discounted price, according to officials from the U.S. Travel Association. The ban is also giving the hotel industry a black eye it would rather not have. Freeman said an estimated $240 billion was spent on business travel in the U.S. in 2007, and the group estimates that 2.4 million Americans rely on business travel. The General Service Administration, the group that sets the amount government employees can spend per day at each destination, says no restricitons have been put in place. The ban, so far, has been self-enforced. According to a staffer with the Department of Agriculture, the criteria for a conference destination is a travel hub, low cost, and a non-resort. While resort locations aren't technically "banned" justification must be provided to supervisors for approval, all but making it an impossibility. "To ensure the proper use of taxpayer dollars, we are continually reviewing and eliminating unnecessary travel and encouraging staff to instead use videoconferencing," said Agriculture Department spokesman, Justin DeJong.